This patient was unhappy with her thinning lips so Dr. Ricardo Rodriguez used 3.0mm round Advanta implants to restore fullness and enhance her lip's appearance. This patient noticed that as she became older her lips became thinner. For the Lip Augmentation procedure, Dr. Ricardo Rodriguez chose 3.0mm round Advanta implants to enhance her lips' appearance . 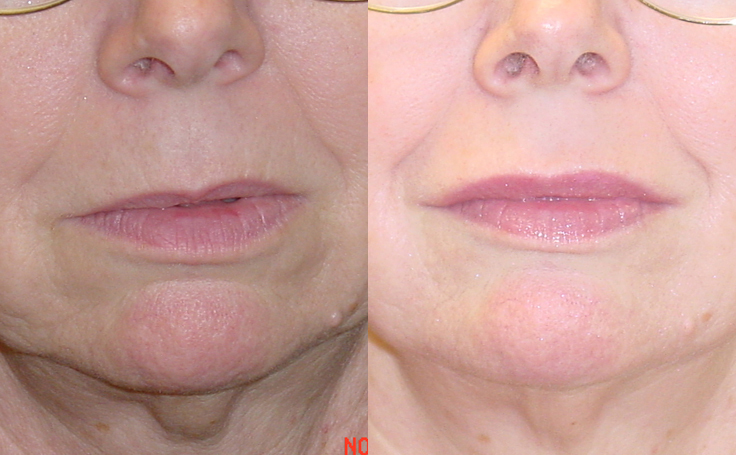 The effect of the implants was very natural in that it gave her more fullness and additionally corrected some of the asymmetry in her lip profile. The patient had the procedure performed in Dr. Rodriguez's office in Baltimore, Maryland. Patients depicted in our Lip Augmentation gallery have provided their written consent to display their photos online. Every patient is unique, and surgical results may vary. Please contact us if you have any questions.